This is a complete list of mass times for the many churches in Ronda. We hope you find it useful. 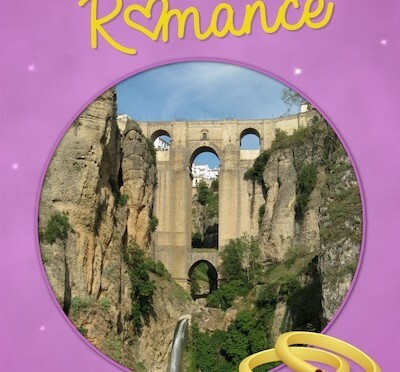 Ronda and the Serranía form the backdrop Michelle Cameron’s romantic comedy, “Emily’s Ronda Romance”. The story is an hilarious tale of a British couple who arrive in Spain after winning a Valentine weekend as second prize. First prize would have been a diamond engagement ring. Emily wanted the first prize, she’s always wanted to be engaged. She’ll settle for two days in Spain, but after all that happens to them, she doubts their relationship will continue, despite all her scheming and planning to make sure Brian pops the question anyway. Spain can do that. This is a story written in the mind of Emily, so we aren’t just entertained by their dialog. We also get to hear Emily’s thoughts. Her view of the world is sweet, funny, scary, and if Brian could read her mind, he’d run for the hills. We are first introduced to Emily when she meets her boyfriend, Brian, as she signs the radio competition form. Almost immediately, she knocks him unconscious, slaps him, then falls in love with him. From the airport in Malaga, to the apartment buildings as she enters Ronda, the plazas, the architecture, and then their excursion around the white villages, we are amused with Emily’s thoughts. At times she is disappointed, but most of her thoughts, are filled with interest and wonder. During their holiday Emily gets a giggle from Brian’s misfortune as he stumbles through bad Spanish. False cognates are the bane of his trip, and sources of endless amusement for Emily. But don’t tell Brian she wanted a saddle to ride him up the steep cobbled streets of Ronda. Actually he does say he wants to read her mind. So, she tells him what she’s thinking. His silence speaks volumes. Emily’s mind is not for the meek. Her mind daydreams of being an international fashion celeb, and Ronda is the perfect canvas for her photoshoots. She pictures herself as caesar at Acinipo, and wishes she could own a house in the countryside, and drive a convertible sports car with the wind in her hair. It’s amazing how much Ronda can change a person in two days. As the reader, we are treated to in some moment, Emily’s scatter-brained thinking, her fleeting imagination, and her dreams as a woman. Unfortunately, her thoughts that should stay in her head, often exit from her lips, leading to several awkward moments. Readers will of course recognise places and characters from the Ronda district, even though they are cleverly disguised to protect the (?) innocent. With some experience of animals, three dogs, and two cats to be precise, Lorna and Alan couldn’t go wrong. After all, the other alpaca breeders all assured them alpacas are lovely animals, that never get sick, and are cheap to feed. Famous last words? Several encounters with real estate agents in the expat areas of Malaga, and advice such as “You have to be flexible, if you want to live in this area, you may need to do some work”, or “Alan, remember it’s all about potential”, settled it. They would buy a property far away from expats in Córdoba province. 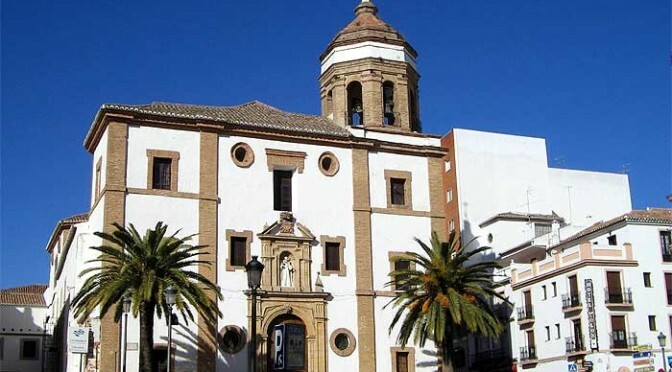 One can only imagine their shock on discovering that Córdoba is known as the frying pan of Spain, with regular summer temperatures of 50 degrees celsius, and 40 degrees in the shade. However, the expats are few and far between, and they could really get involved in their local community. They still needed to do a lot of renovation, mind you! And, cleaning out the paddocks to accommodate their new alpaca friends. Four days of lifting horse manure made them as pink as prawns, or typically English under the Andalucían sun. Establishing that alpacas were in fact allowed to be settled on the farm appears to have been quite the chore, until Alan and Lorna learned why there was no need for an alpaca license, the word means bales of hay in Spanish. Instead, they needed a license for llamas. With hindsight, it seems so obvious. As you can imagine, their stories of adjusting to life in Spain just keep getting better, and in comparison with Driving over Lemons, Alan and Lorna’s tales seem more contemporary, and still as true of expat life today as when they arrived in Spain. 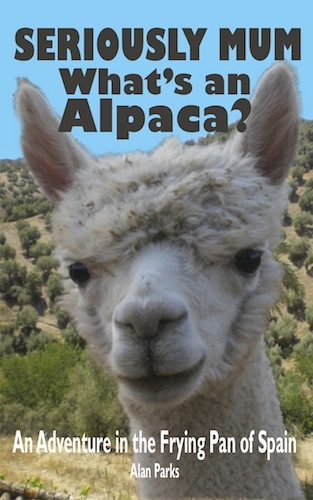 This really is a ripping tale of authentic Andalucía, from a family known and loved within the expat community, precisely because they chose to remove themselves and breed alpacas. 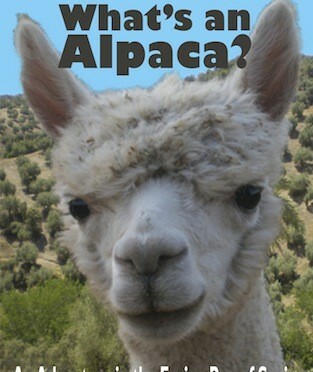 If living the expat life appeals to you, or you’re already doing it, then “Seriously Mum, What’s an Alpaca?” should be considered a must read. 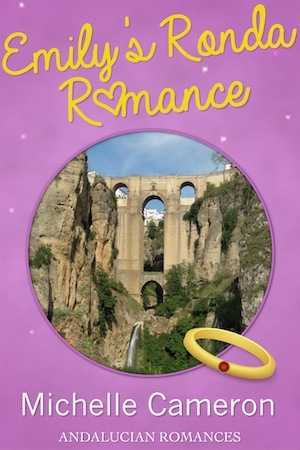 Divulgence is a contemporary literary romance, set in the Costa del Sol and Ronda’s white villages. This is the story of an expat who settles in Spain, gets married, and then her life falls to pieces. 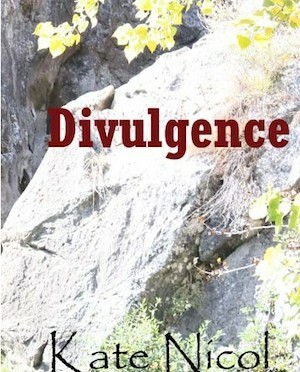 Download from Amazon UK: Divulgence . 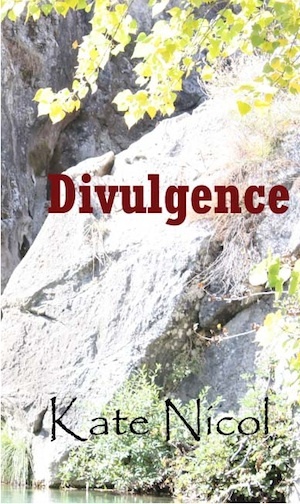 Anyone who loves the western end of the Costa del Sol and inland territory as far as Ronda in the Serranía, will find Kate Nicol’s Divulgence very familiar. Grace Marchant seems to have everything. A successful business, a happy familiar home life with her husband, Leo, and friends. Her life is a cliché of course, which is rarely true of anyone. An indiscretion on her part brings the entire house of cards crashing. Two years later Grace’s guilt leaves her torn, almost literally as dream Grace leaves her husband. She starts a new life teaching English in the Genal Valley, from the back of a horse transporter she’s kitted out as a classroom. Barely-awake Grace tries to continue her life, with Leo’s detachment and refusal to acknowledge her guilt adding to the tragedy. Her employees suspect, as does the little old lady Grace sees every day. Each Grace needs to deal with her demons, perhaps poorly, and each is forced into situations she would prefer to avoid. The Spanish lover, Leo’s visiting sister, and her own friends, all with their often unwelcome advice. This is the story of two Grace Marchants, both seemingly at a loss to reconcile the indiscretion, and valiantly trying to make sense of a world that she now can’t understand. Kate Nicol, has pulled together an account of her protagonist’s life that is stimulating and fully believable – with a strongly written character I wanted the best for. The supporting cast in Grace’s life are instantly recognizable to any expat. I could imagine each character having a real world equivalent. Intertwined in Grace’s fall, we are amused with many humorous events that catch Grace unaware. We are also introduced to expat life in Spain, warts and all. Happily, Grace Marchant finds peace and there is a happy ending. Though, perhaps not quite what the reader expects. (buy at Amazon), which crosses from England to Spain, with hilarious consequences for the protagonist whet my appetite for a quick read of his novel. 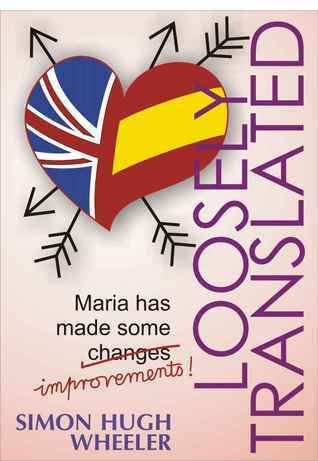 So, Loosely Translated is a romantic comedy with a mixture of contrasts: love/hate, England/Spain and literature/cheesey murder mysteries. But perhaps the biggest contrast is between the two main characters: Mike, a boozing, womanizing, uncultured but somehow charming guy and Maria, a classy, intelligent and thoroughly professional girl. Cupid is going to need more than one arrow for these two to get together. In the first scene, Mike appears boorish and a clown. Success has clearly made him lazy. María by contrast is sweet and lovely. I could be friends with her, and would probably advise her to keep significant distance between her and Mike. Much like her friend in the story, Carmen, does. Mike writes really bad detective novels and Maria has to translate them. She is disgusted that he can get such a bad book published, actually a series of them – something that still eludes her. So she decides to rewrite his story. 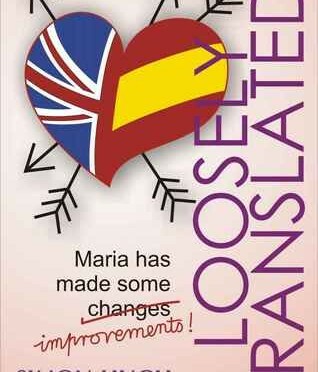 One of my favourite scenes is when Mike is invited to Madrid for the launch of the second book in Spanish and Maria has to work overtime to “translate” for the audience, in case her little secret is exposed; some of Mike’s comments become hilariously twisted around. María is determined to keep Mike under a watchful eye to prevent her secret getting out, and what follows is a series of very sweet, frequently funny disputes as Mike grapples with her lack of interest in him romantically. 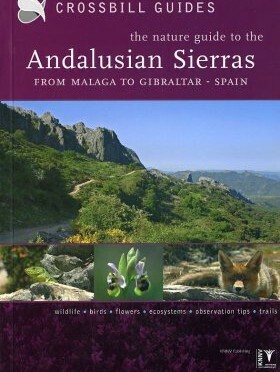 Readers familiar with Madrid and Córdoba will recognise a few landmarks. You may never look at them quie the same ever again. An interesting quirk of the book is that it holds the record for the most epilogues: twenty-one! They reminded me of out-takes at the end of a movie. The author is clearly determined to give each character in the story a page all to themselves. It’s a nice touch. So often my favorite minor characters disappear while the main protagonist goes on to life happily ever after. Simon Hugh Wheeler has written an enjoyable book that is perfect for reading on the beach, sipping sangria while soaking up the Spanish sun. Or, if you love Ronda as much as I do, it is perfect for reading in the sun, with a mountain backdrop.